Jeg liker godt bøkene til Gregory, så en ny bok fra henne kommer alltid på ønskelisten. The Kingmaker’s Daughter is the gripping and ultimately tragic story of the daughters of the man known as the “Kingmaker,” the most powerful magnate in England through the Cousins’ Wars. In the absence of a son and heir, he uses the two girls as pawns in his political games, but they grow up to be influential players in their own right. In this novel, her first sister story since The Other Boleyn Girl, Gregory explores the lives of two fascinating young women. At the court of Edward IV and his beautiful queen, Elizabeth Woodville, Anne grows from a delightful child brought up in intimacy and friendship with the family of Richard, Duke of Gloucester, to become ever more fearful and desperate when her father makes war on his former friends. Her will is tested when she is left widowed and fatherless, with her mother in sanctuary and her sister married to the enemy. Fortune’s wheel turns again when Richard rescues Anne from her sister’s house, with danger still following Anne, even as she eventually ascends to the throne as queen. Having lost those closest to her, she must protect herself and her precious only child, Prince Edward, from a court full of royal rivals. Denne forhåndsbestilte jeg med en gang jeg hørte om den, mye på grunn av at man sammeligner den litt med bøkene til Kate Morton. 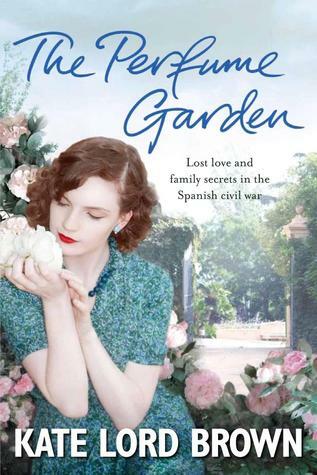 The Perfume Garden combines the gripping storytelling of Kate Morton with the evocative settings of Victoria Hislop to tell this sumptuous story of lost love and family secrets set between modern day Valencia and the Spanish Civil War. High in the hills of Valencia, a forgotten house guards its secrets. Untouched since Franco’s forces tore through Spain in 1936, the whitewashed walls have crumbled, the garden, laden with orange blossom, grown wild. Emma Temple is the first to unlock its doors in seventy years. Guided by a series of letters and a key bequeathed in her mother’s will, she has left her job as London’s leading perfumier to restore this dilapidated villa to its former glory. It is the perfect retreat: a wilderness redolent with strange and exotic scents, heavy with the colours and sounds of a foreign time. But for her grandmother, Freya, a British nurse who stayed here during Spain’s devastating civil war, Emma’s new home evokes terrible memories. As the house begins to give up its secrets, Emma is drawn deeper into Freya’s story: one of crushed idealism, lost love, and families ripped apart by war. She soon realises it is one thing letting go of the past, but another when it won’t let go of you. Jeg elsker episke historier, og denne appellerte til meg med en gang jeg leste om den. Det er også et stort pluss at omslaget er nydelig. 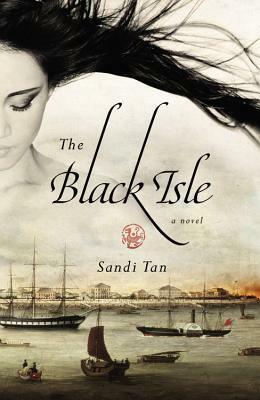 Uprooted from Shanghai with her father and twin brother Li, young Cassandra finds the Black Isle’s bustling, immigrant-filled seaport, swampy jungle, and grand rubber plantations a sharp contrast to the city of her childhood. And she soon discovers something more: the Black Isle is home to a myriad of restless ghosts–ghosts that only she can see. Haunted and lonely, Cassandra at first tries to ignore the apparitions that crouch in the corner of her bedroom, parade down the street, and hang from the ceiling fan at school. Yet despite her struggles with these spirits, Cassandra comes to love her troubled home. And soon, she attracts the notice of a dangerously charismatic man. But as she grows into a fearless, strong young woman, the Isle’s dark forces won’t let her go. War is looming, and Cassandra wonders if her unique gift might be her beloved island’s only chance for salvation . . . Taking readers from the 1920s, through the Japanese occupation during WWII, to the island’s radical transformation into a bustling cosmopolitan city, THE BLACK ISLE is a sweeping epic–a deeply imagined, fiercely original tale from a vibrant new voice in fiction. Jeg har lenge hatt lyst til å lese noe av Weir, og temaet hun tar opp i denne boken interesserer jeg meg for. England’s Tower of London was the terrifying last stop for generations of English political prisoners. A Dangerous Inheritance weaves together the lives and fates of four of its youngest and most blameless: Lady Katherine Grey, Lady Jane’s younger sister; Kate Plantagenet, an English princess who lived nearly a century before her; and Edward and Richard, the boy princes imprisoned by their ruthless uncle, Richard III, never to be heard from again. Across the years, these four young royals shared the same small rooms in their dark prison, as all four shared the unfortunate role of being perceived as threats to the reigning monarch. Jeg har tenkt å lese første del i denne trilogien i sommer, og da vil jeg nok lese denne etterpå. Tror imidlertid at dette er en bok jeg skal lese på norsk, og krysser fingrene for at den kommer ut her før jul i år. Winter of the World picks up right where the first book left off, as its five interrelated families—American, German, Russian, English, Welsh—enter a time of enormous social, political, and economic turmoil, beginning with the rise of the Third Reich, through the Spanish Civil War and the great dramas of World War II, up to the explosions of the American and Soviet atomic bombs. Carla von Ulrich, born of German and English parents, finds her life engulfed by the Nazi tide until she commits a deed of great courage and heartbreak. . . . American brothers Woody and Chuck Dewar, each with a secret, take separate paths to momentous events, one in Washington, the other in the bloody jungles of the Pacific. . . . English student Lloyd Williams discovers in the crucible of the Spanish Civil War that he must fight Communism just as hard as Fascism. . . . Daisy Peshkov, a driven American social climber, cares only for popularity and the fast set, until the war transforms her life, not just once but twice, while her cousin Volodya carves out a position in Soviet intelligence that will affect not only this war—but the war to come. These characters and many others find their lives inextricably entangled as their experiences illuminate the cataclysms that marked the century. From the drawing rooms of the rich to the blood and smoke of battle, their lives intertwine, propelling the reader into dramas of ever-increasing complexity. 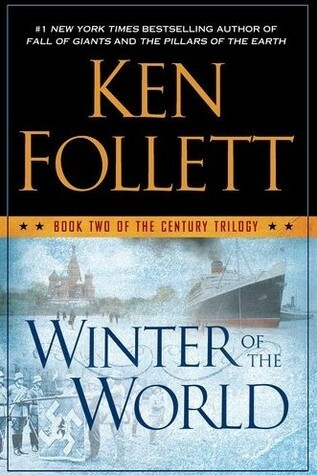 As always with Ken Follett, the historical background is brilliantly researched and rendered, the action fast-moving, the characters rich in nuance and emotion. With passion and the hand of a master, he brings us into a world we thought we knew, but now will never seem the same again. Gregory er produktiv, og kommer med sin første historiske serie for ungdom denne våren. Denne er forhåndsbestilt, og jeg gleder meg til å ta fatt på den. Handlingen virker veldig spennende. Dark myths, medieval secrets, intrigue, and romance populate the pages of the first-ever teen series from #1 bestselling author of The Other Boleyn Girl. Italy, 1453. 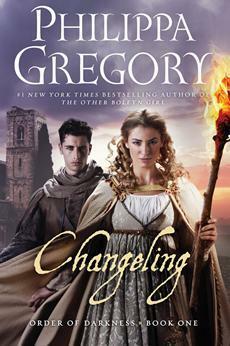 Seventeen-year-old Luca Vero is brilliant, gorgeous—and accused of heresy. Cast out of his religious order for using the new science to question old superstitious beliefs, Luca is recruited into a secret sect: The Order of the Dragon, commissioned by Pope Nicholas V to investigate evil and danger in its many forms, and strange occurrences across Europe, in this year—the end of days. Isolde is a seventeen-year-old girl shut up in a nunnery so she can’t inherit any of her father’s estate. As the nuns walk in their sleep and see strange visions, Isolde is accused of witchcraft—and Luca is sent to investigate her, but finds himself plotting her escape. Despite their vows, despite themselves, love grows between Luca and Isolde as they travel across Europe with their faithful companions, Freize and Ishraq. The four young people encounter werewolves, alchemists, witches, and death-dancers as they head toward a real-life historical figure who holds the boundaries of Christendom and the secrets of the Order of the Dragon. The first in a series, this epic and richly detailed drama is grounded in historical communities and their mythic beliefs. It includes a medieval map of Europe that will track their journey; and the interior will include relevant decorative elements as well as an interior line illustration. And look for a QR code that links to a note from the author with additional, detailed information about the setting and the history that informed the writing. 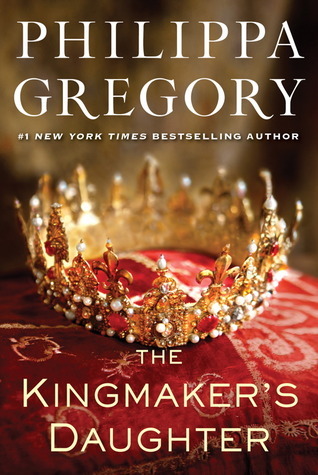 With Philippa Gregory’s trademark touch, this novel deftly brings the past—and its salacious scandals—vividly and disturbingly to life.